We are a surfacing company specializing in producing stunning artistic tiles & stone designs from fine natural stone from around the world. 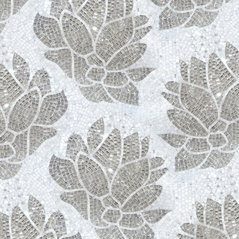 We offer a wide variety of concepts which include hand cut mosaics, water jet designs, etched natural stone, hand painted stone, hand cut glass and mirror, and even luxurious semi-precious materials. 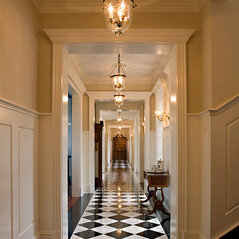 We provide great quality artistic custom stone produced by our very own mosaic designers and unparalleled service on numerous levels. With pride, we have been crafting all of our products in our New York studio since 1998. 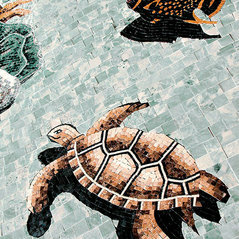 Nelson and his team have created beautiful mosaic designs for homes that my husband has installed. He is knowledgeable in his field, a professional and a true artist. Commented: Are all of your mosaics made to order or do you carry stock items?It is an interlocking water jet pattern made out of marble. Because it is interlocking, you don't see where the pieces meet. 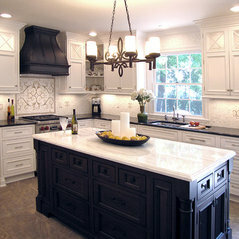 Commented: How much and where to buy?We are the manufacturers of the mosaics. We produce everything locally here in the US. 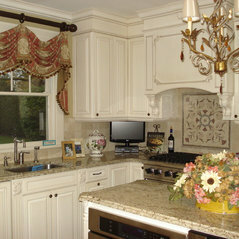 You may contact us directly by phone at 631-254-2558 for pricing or any additional information. 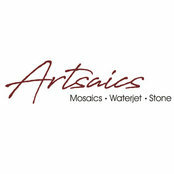 Artsaics Studios answered a question: Are all of your mosaics made to order or do you carry stock items?